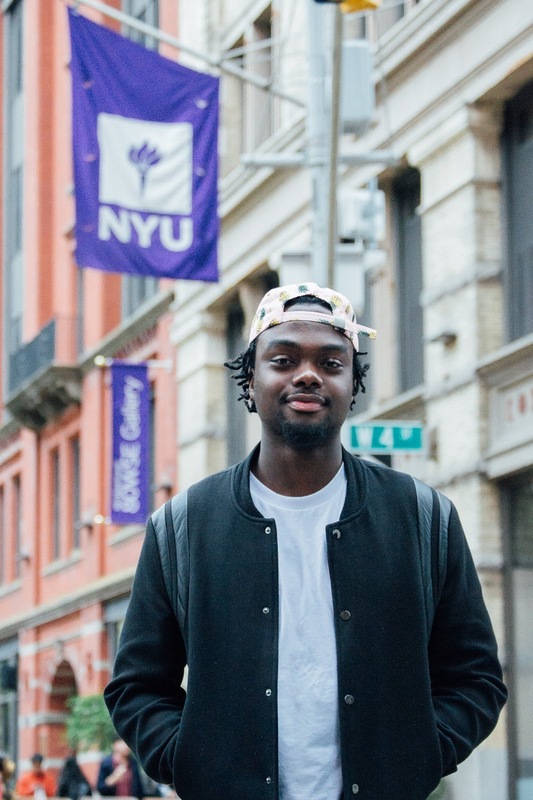 My educational experience at NYU has given me the tools to ask questions, and to think for myself about the solutions to the challenges I faced as a student. My educational experience was a rigorous one—I took philosophy courses that challenged me to remain skeptical and open to questions and topics that did not have one explicit answer, while under the pre-health track, I dealt with topics that appealed to the analytical side of me—topics of science that were black and white. These contrasts, along with my academic courses, set a foundation for me that ultimately drew me to public health research, a field where I could ask questions that did not have clear cut answers, but did have a methodology that would allow me to address what I did not know. What made you decide to pursue a Fulbright scholarship? I decided to pursue a Fulbright scholarship after I had underwent a program called H.E.A.L.T.H. (Health Educator and Awareness Leadership Training Honors Program) in my sophomore year. This program, through the NYU School of Medicine's Office of Diversity Affairs, the Academic Achievement Program, and the College of Arts and Science’s Opportunity Programs, gave me the exposure to the basics of research while also giving me the opportunity to study one healthcare matter of my choice in the field of public health. My work on the topic proposal, access to maternal healthcare, got me interested in clinical research, and allowed me to begin thinking about the larger implications of public health research. From that experience, I began to explore the idea of my role, as a future variable within the healthcare system, and how I, as an aspiring researcher, could think of and suggest interventions for the communities afflicted by a healthcare problem. After going through the program, I came across the Fulbright program, and I immediately knew that this opportunity matched exactly with how I wanted to grow in the area of public health research. How did you decide what you wanted to do as a Fulbright scholar? When I was a junior, I met Dr. Nerys Benfield (MD, MPH, Assistant Professor at Albert Einstein College of Medicine), while looking and applying for internships. After completing the HEALTH program, I wanted to continue to learn about research, and was exploring opportunities to do so in a clinical setting. I soon connected with Dr. Benfield, and shortly after I started working with her as an intern on her research studies. As an intern, I was responsible for supporting her research, which explored family planning access and use in conflict settings. Under Dr. Benfield, I reconciled data, drafted literature reviews, and edited draft manuscripts and research protocols, all about family planning in the Democratic Republic of Congo. When the Fulbright opportunity came, I knew I wanted to continue on what I learned working with Dr. Benfield, and so the focus of my research proposal became exploring reproductive health access and use in conflict settings. As a Fulbright scholar, I am working on executing my research proposal, titled, Reproductive Health Access and Use Among Internally Displaced Women in Abuja Nigeria. This project will examine the reproductive health (RH) concerns and challenges of internally displaced persons (IDP) in Abuja, Nigeria. Through a needs based assessment, this project will describe the barriers against adequate RH, as well as RH history, knowledge, and desires of IDP since the Boko Haram insurgency. The data will be used to provide recommendations that will result in early stages of program development for IDP women. As a Fulbright scholar, you work with The Wellbeing Foundation Africa. What does this organization do, and what made you decide to work with them as a scholar? The Wellbeing Foundation Africa (WBFA) is a healthcare NGO (Non-governmental organization) based in Nigeria with a mission of educating, empowering, and advocating for accessible and sustainable health in Africa. The Wellbeing Foundation and its programs address multiple intersections including: furthering the education for midwives and frontline community health workers; advancement of early childhood mental and physical health development, and bringing to attention the necessity of gender equality and the empowerment of all women and girls. I decided to work with WBFA after my mentor, an alumnus of NYU, and member of Gentlemen of Quality (GQ), connected me with Dr. Chinedu Nwaboubi, a then fellow in maternal fetal medicine at University of South Florida. Dr. Nwaboubi introduced me to Dr. Luther-King Fasehun, country director to The Wellbeing Foundation, and after a conversation about Fulbright and my research ideas, Dr. Fasehun was on board. Dr. Fasehun’s enthusiasm and support toward my research ideas solidified for me [what] I wanted to do with WBFA, because I felt confident enough to continue the application process, knowing that I was working with a great organization that would be able to support me fully, and that made me feel great about moving forward. What is a typical day like for you as a scholar and working alongside this organization? A typical day for me as a Fulbright scholar and working alongside WBFA really breaks into two main things: my responsibilities relating to my role as a Fulbright scholar, and my responsibilities relating to my role as an intern at WBFA. As a Fulbright scholar, I am the principal investigator of my research project. I am responsible for managing the progress of my research, developing my research protocol, identifying stakeholders and partners, and mobilizing my team to conduct the research. As an intern at WBFA, my role is very different. I work closely with the country director, and I learn about various things related to policy advisory, stakeholder engagement, and grant writing and review. Depending on the day, I am usually working as both, completing my tasks as an investigator conducting research, while also working in my role at WBFA. What is one memorable moment you have experienced thus far in your work as a scholar with The Wellbeing Foundation Africa? One memorable moment I’ve experienced as a Fulbright scholar occurred while I was close to completing the data collection portion of my research. While I was in the process of preparing logistics to conduct the field research, I held a two day training session for the entire research team. The goal of the training session was for members of the team to become acquainted with one another and to also fully train and equip our enumerators to conduct research on the study. This moment was memorable to me because it was during a time that was very difficult. The pressure to complete the research under our deadline posed a real challenge, and it became hard at times to not feel overwhelmed amongst the challenges we faced. Although I was very stressed, the first day of the training session went amazingly well. This moment was memorable to me because it personally felt like I “caught my second wind”. In seeing the response to the training session, I felt very validated at the process and progress I went through. With my mentors and supervisors providing positive feedback, I was able to use the experience as fuel to continue and complete the necessary work we needed to do. It was one of many affirming moments that I was on the right track. What do you see yourself doing after your scholarship ends? After my Fulbright scholarship ends in June, I see myself working in the same capacity as I am now. This Fulbright opportunity was the first of several huge changes in my life: it was the first time I lived out of the country for more than six months, it was my first time on the African continent, my first time in Nigeria, and last but certainly not least, it was my first professional experience in the field of my choice. I have had an amazing experience as a young professional, and have learned so much in my role as a research investigator and intern at WBFA. I have built a foundation of networks and experience in the field of public health, and I want to continue my momentum after my Fulbright journey ends. I want to continue to grow as a professional, and explore opportunities where I can apply the skills I’ve learned through my experience to continue to work within the field of research and reproductive health. Do you have any advice for students and alumni looking to pursue a Fulbright scholarship? If you are interested in pursuing a Fulbright scholarship, then my piece of advice is to take the time to understand what you bring to the table. The Fulbright Scholar Program is a wonderful opportunity, and a program with prestige. Its alumni are full of people who are the leaders of their respective fields, and are some of the top minds of the world. At the end of the day, however, the Fulbright Scholar Program is a product of its applicants, who are people just like you and me. My journey, experience, and success as a Fulbright scholar are only due to my understanding of what I could bring to the table. Being clear of what I could contribute as a young professional, an academic, and a person with my own unique experiences is what allowed me to narrow my focus, and showcase my strength as an applicant to this program. I believed that because of that I knew the value I could add to the program, and I understood clearly how a Fulbright was also a great opportunity for me. No matter what type of Fulbright you are applying for, if you are clear on what you can bring to the table, you will be clear on your strengths, and you will be that much more able to showcase this in your application.